Go Overseas is your guide to 16,000+ programs that will change how you see the world. Read 35,000+ community reviews to help you choose your next adventure. Having a travel buddy you trust makes a world of difference -- that's where we come in. 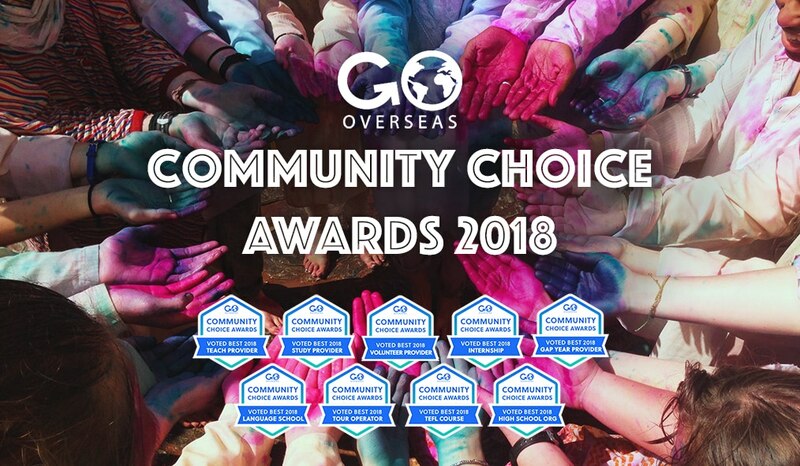 Go Overseas is here to give you the knowledge and confidence to choose the right program, and connect you with fellow travelers across the world. "I recommend this trip to anyone from anywhere, any age, and any reason. Experiencing new cultures first hand by living with these families, emerged in all of the different cultures Asia has to offer. As long as there is an open mind involved, this will undoubtably be a trip of a lifetime, with a great program running it." "While in Rome, I dove headfirst into many exciting opportunities: interning at an Italian film company, co-captain in the JFRC soccer league, and traveling throughout Europe! Overall, my study abroad experience made me a more cultivated, resourceful, and fearless individual. I recommend it to anyone who is looking for an extraordinary (“straordinario” in Italian) study abroad experience." "Completing a TEFL course in person (as you would with any of TEFL Heaven\'s locations) has proven to be much more effective and I can\'t imagine doing the course any other way... Because of the experience I was given through TEFL Heaven, I\'ve secured English teaching positions for the summer in Turkey and the next year in Japan. Thanks TEFL Heaven!" Winners were chosen by our 1,000,000+ strong community, based solely on their independent program reviews. 14,836 listings for you to explore. Save programs to your wishlist or book directly with Go Overseas. Ratings and reviews to help you find the right program. Read questions and answers from fellow travelers who actually went on the programs. 84,757 travelers used Go Overseas to plan their adventures in the past year. Connect with our community before you take off for your next trip.